The importance of keeping children free of tooth decay this Halloween. A recent Department of Health survey shows that half of all children are at risk of tooth decay and it is thought that this sharp rise in tooth decay has been caused by sugary drinks and snacks. This is especially important to consider now that Halloween, known for sugary treats, is just around the corner. Tooth decay can occur when children have too much sugar in their diet. There is a common misconception that only fizzy drinks and sweets are the cause of tooth decay. However, 90% of all food contains sugars and starches that enable bacteria in dental plaque to produce acid which attacks the teeth and in turn caused decay. Each time a child eats sugar, there is an acid attack and this lasts around 20 minutes. Therefore, a child that snacks regularly has a higher risk of tooth decay, as there is an acid attack every time they snack. To combat the rise in tooth decay, the Government are now implementing a new ‘traffic light’ system to assign patients either a green, amber or red rating, based on the health of their teeth and gums. Dentists will then advise the patients on how they can improve their oral health, based on their rating. This system has been set up to shift the focus of dentists from treatment to prevention of tooth decay. It keeps patients informed and hopefully will reduce the instances of missed tooth decay by dentists. 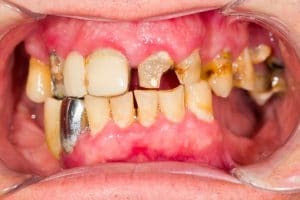 Unfortunately tooth decay often leads to the loss of teeth and it is reported in the Medical Daily that 30,000 children each year are admitted to hospital due to tooth decay and many have up to 6 teeth taken out at once. It is important that the amount of sugar children eat and drink, especially between meals is minimised and that they attend regular check-ups with their dentist. However, it is equally important that dentists are diagnosing and treating the decay as early as possible. If you are worried about the levels of sugar that you or your child are currently consuming and the damage this is causing to your teeth, it is important that you raise this with your dentist who can provide you with advice. The Dental Negligence Team support the new ranking system as this will hopefully reduce instances of missed tooth decay in children. We unfortunately see many clients, especially children, who have undergone extensive treatment and tooth loss because their dentist has failed to spot the early signs of tooth decay. Recently, the Dental Negligence Team recently secured a substantial amount for the missed tooth decay on a number of a client’s deciduous (baby) teeth. The client lost six teeth and there is a high possibility that she will require orthodontic treatment in the future.